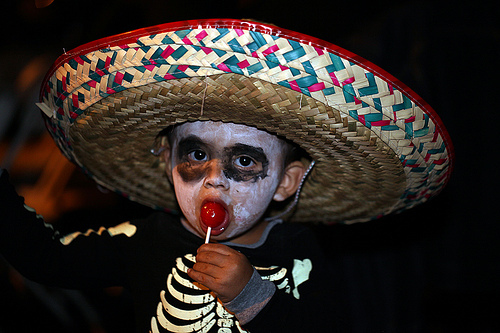 Day of the Dead; if you studied Spanish in any American high school the probability of you having heard of it is pretty high. But this doesn’t mean that you necessarily know of its origins or can recognize the differences between Day of the Dead and Halloween. Day of the Dead, or Día de los Muertos, is an age-old tradition dating back to a time when only the indigenous tribes roamed the Americas. Upon arrival, the European invaders saw the tradition as barbaric, morbid and attempted to eliminate the tradition along with many others. 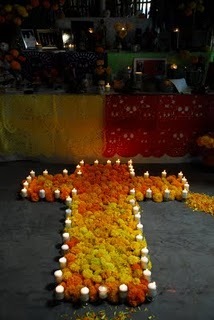 Fortunately Day of the Dead celebrations survived and they later became ingrained into North and Central American Catholicism. Halloween, brought to the United States by Irish and Scottish immigrants also originates from ancient traditions but it is celebrated to ward off spits, not welcome them. Day of the Dead, on the contrary, dedicates the first two days of November to honor and celebrate the spirits of loved ones that have passed. Marigold-adorned alters are risen and the favorite food and belongings of the deceased are set out along with festive decorations, candles and incense. 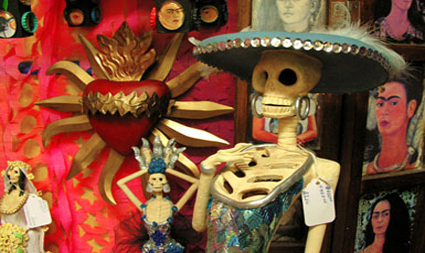 Although skulls and skeletons are a common decoration used in Day of the Dead festivities, they are not all intended to induce a feeling of gloom. Instead, the skeletal figures represent life, death and birth, symbols used long before the arrival of the European invaders. Candied skulls are set on alters as offerings to souls of deceased children and it is very common to find skeletons in much of the Day of the Dead art, costumes and decoration. 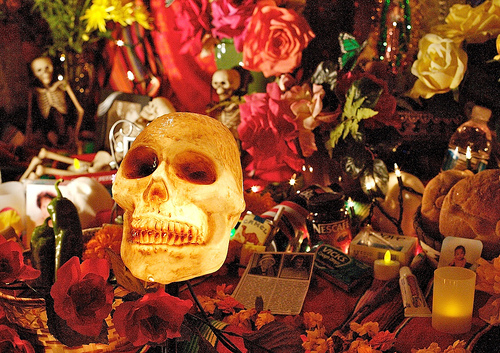 Mexico, Central America and part of the United States celebrate Day of the Dead but Mexico is where the most authentic, colorful and passionate festivities occur making November 1st and 2nd in Mexico a photographer’s and culture seeker’s paradise.